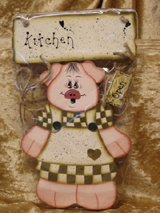 For those that just love cute little pigs, we have presents for friends and family. Great country whimsical gifts for everyone. Please note: these items are not suitable for young children. 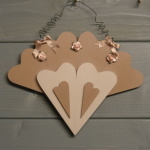 Sizes stated do not include the wire or jute hangers.